Extracting the Stone of Madness is also known as The Cure of Folly and it represents a satirical image that was popular in most Northern European countries at this time. 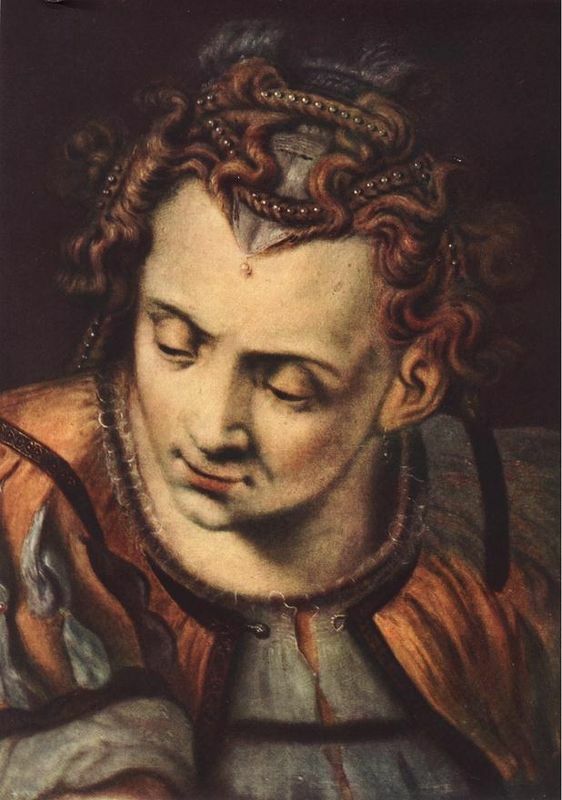 The stone operation, known as trepanation, was one in which the patient was meant to be cured of his stupidity through the removal of the stone of folly from his forehead. Luckily, this was performed only in fiction and in literary examples such an operation usually left the patient worse off than before. The inscription at the top of the image reads, "Master cut out the stone - my name is Lubbert Das". The name Lubbert frequently appeared in Dutch literature as a foolish character and to identify those demonstrating a high degree of human stupidity. Although this subject would have inspired Bosch's image, it does not account for his depiction of the funnel, the book perched on the heads of two of the characters or the inclusion of the monk and the nun. In Bosch's version the surgeon does not extract the traditional stone from the patient's head but a flower, identified as a tulip. Another flower is on the table. This is a play on the Dutch word for tulip which in the sixteenth century was also associated with stupidity and folly. It could also be the case that the flower indicates that the doctor is a charlatan as could the funnel hat. According to Skemmer, the woman balancing a book on her head is a satire of the Flemish custom of wearing amulets made out of books and scripture. Others argue that she represents folly. In the sixteenth century, Felipe de Guevara owned a work on this theme which was then bought by Felipe II. Yet, its size and format were different to that of Extracting the Stone of Madness which was first mentioned in 1745 in the Duke of Arco's country home and it later entered the Royal Collection. There are four characters involved in this scene; the surgeon is standing, observing the unfortunate patient who is seated. An assistant stands next to him while an old woman leans on the pedestal table with a book balanced on her head. 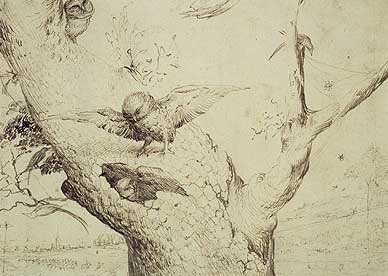 Early paintings by Bosch such as Extracting the Stone of Madness are rather awkward in their drawing and composition and his brush work was somewhat limited. He depicts groups of people as ignorant or absurd when faced with different challenges on life's journey. The imagery he uses, however, is still rather conventional. The circular 'frame' of this image makes it rather dark and dreary, though it is broken up by the gold-colored pattern. The book on the onlookers' head and the patient's trousers offer brighter tones but all in all this work is painted with a subdued palette. Even the sky and the background landscape are gloomy. Landscape is instrumental to Bosch's compositions - it sets the mood and is seen with directness. The artist makes fun of the main character's effort to cure his 'madness', which in several Flemish proverbs is understood to be stupidity or ignorance. The doctor's inverted funnel suggests that he is the true madman, while the old woman looking on in amazement seems to symbolize the power of science. The tulip on the table could represent the cost of the operation and the surgeon's profit, making him a fraud. 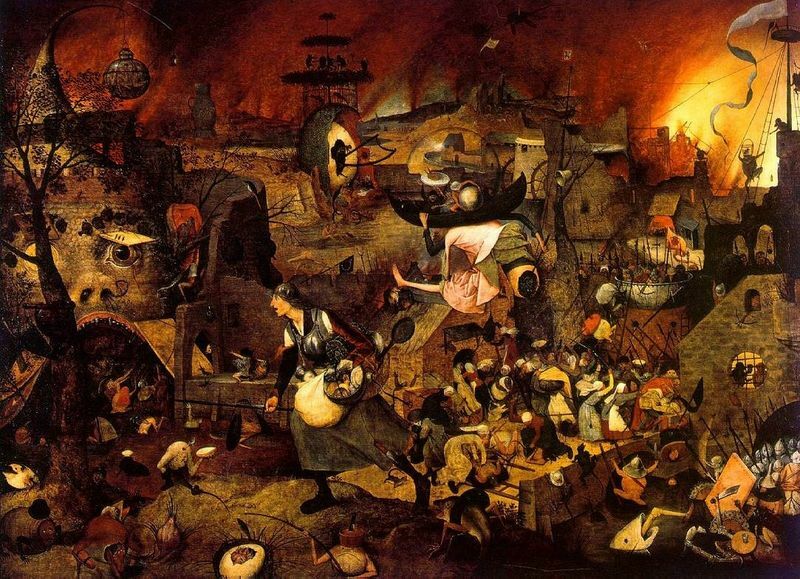 Bosch's delicately painted forms in the background landscape of Extracting the Stone of Madness are reminiscent of the view in this painting. 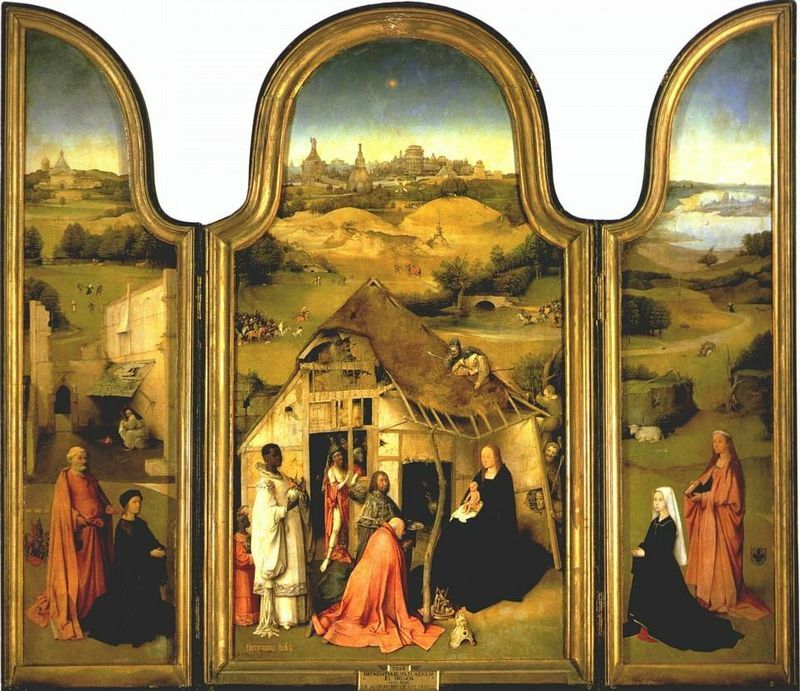 The theme of the stone operation was represented by numerous Netherlandish artists after Bosch, including Pieter Brueghel the Elder. His work is the Anglicized version of Dulle Griet (also known as Mad Meg), a figure of Flemish folklore. Hailing from a family of artists, Hieronymus Bosch was a religious painter and a firm moralist with a love of everyday life. Although pessimistic in his observations, he lightened his approach with an often vulgar humor and biting satire, as shown in Extracting the Stone of Madness. Consequently, this means that his work, harmonious in form and content, is one of the last significant expressions of the medieval world view. Although his paintings are often deemed 'sermons' and therefore difficult to translate, some recent interpretation labels Bosch a talented artist who offered deep insight into human character and was one of the first painters to represent abstract concepts in his images. Using stunning imagery to depict moral and religious ideas and stories, Bosch set himself apart from his contemporaries. 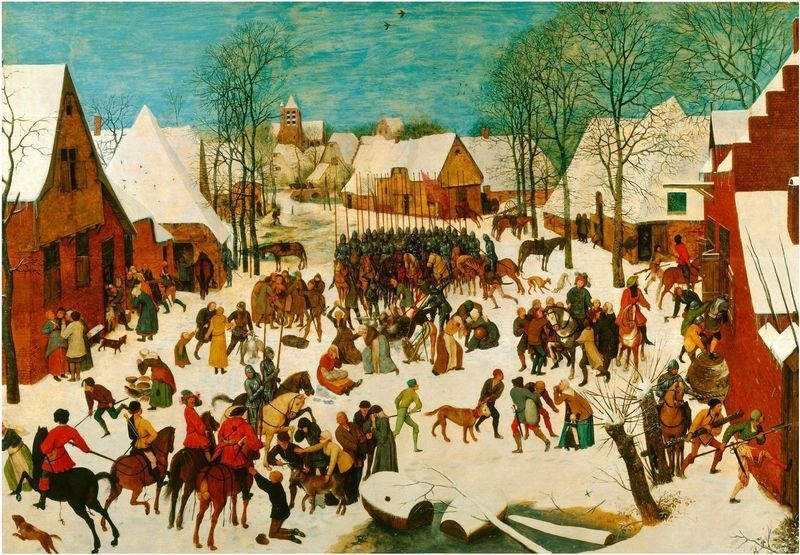 As he was a visionary artist with a distinct style, he was not as influential as other main painters of the era but several later artists included elements of his work into their own, namely Pieter Brueghel the Elder. 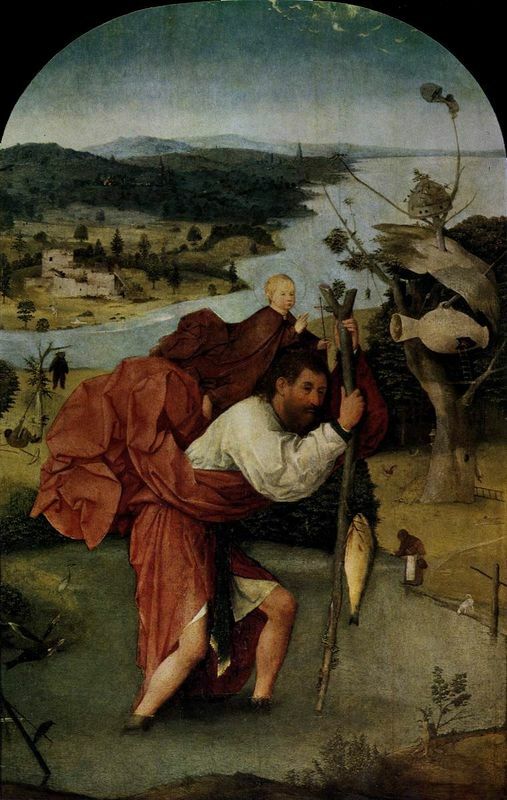 Generally, it is thought that Bosch's art was created to teach specific moral and spiritual truths in the same way as other Northern Renaissance figures, such as the poet Robert Henryson, and that his imagery has exact and premeditated meaning. However, conflicting interpretations of Bosch's works still exist and these raise important questions about the nature of "ambiguity" art of his era.